CHICAGO'S VERY OWN BROADWAY SENSATION! The biggest Broadway show since The Book of Mormon has landed in Chicago, for an open ended run at the CIBC Theatre. 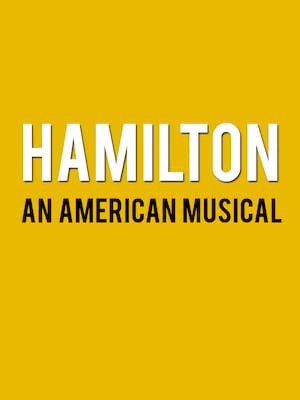 Written by Tony, Grammy and Emmy Award winner Lin-Manuel Miranda, Hamilton is a vital piece of American culture, tearing up the musical theatre rulebook with a score that is equal parts Sondheim and Notorious B.I.G., and a cast of ethnically diverse actors in the roles of the Founding Fathers. The story centers on Alexander Hamilton, one of our most important (and colorful) characters, who rose from his humble orphaned beginnings to play a major role in making America the country it is today. 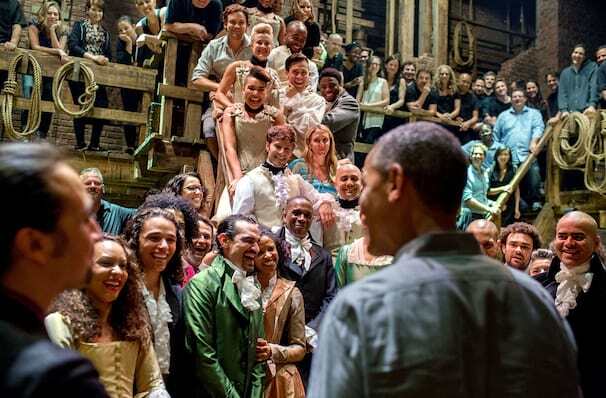 Hamilton made its New York debut Off-Broadway at the Public Theater in 2015, where it was met with universal acclaim and was extended three times due to public demand. It lost none of its potency in the subsequent Broadway transfer, with Ben Brantley of the New York Times writing it was "changing the language of musicals". In 2016, It was awarded the Pulitzer Prize for Drama and scooped 11 Tony Awards. In 2018, it swept up the Olivier Awards bagging seven of their recording breaking 11 nominations! READ OUR REVIEW OF HAMILTON HERE!